Your own photo and message! These Ceramic Photo mugs will be a big hit with anyone, or yourself. These are perfect for gifts! on both sides, 2 different single designs on each side, or you can add a longer message to the other side. You can add text to ANY design you choose, even if the example doesn't show text. 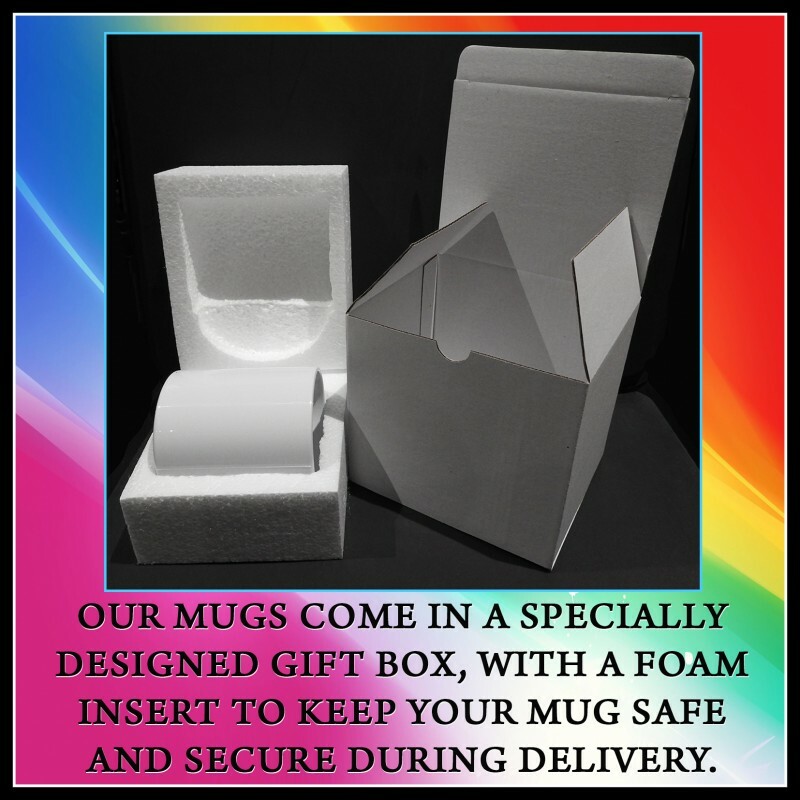 All of our ceramic mugs come individually gift boxed. to keep them safe and secure during delivery. We give postage discounts when multiple items are purchased. Or request a total from us before paying for your order. All of our mugs are Dishwasher and Microwave Safe. 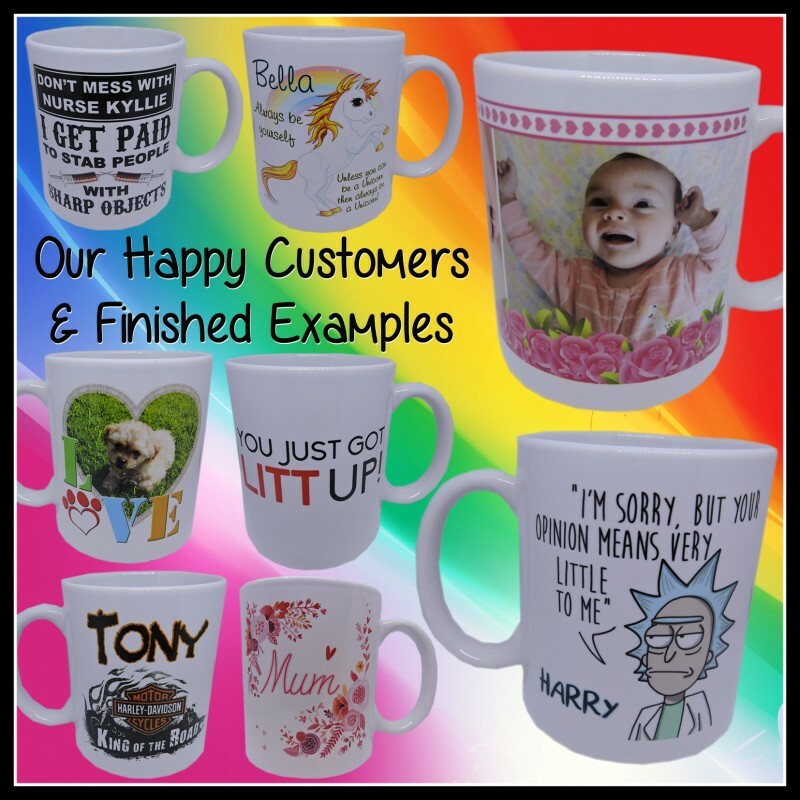 Scroll down to the 'Product Customization' section and enter the Design Number you would like on side 1 of your mug. Use the Choose File buttons to attach the correct number of photos needed for both sides of your mug. Scroll back up and Select 'Add To Cart' and either checkout to complete your purchase, or continue shopping to select more items.